Today we are going to take a closer look at John chapter 10. This is a familiar and fundamental chapter – but it is also deep and profound. Let’s dig in together! In the book of John, we see over and over again, Jesus speaking to the religious men of his day and they do not listen to his voice. John 10:6 says, “they did not understand what he was saying to them”. But in John 10:3 Jesus says, the shepherd knows his sheep BY NAME! Oh how I love this! If you go to a rather large church like I do, then you know a lot of faces but not all of the names –but Jesus knows everyone’s name there He is relational and intimate. In Bible times, multiple flocks would share the same pasture and so there’d be multiple shepherds out in the same field. When the shepherd called for his sheep, the sheep knew their shepherd’s voice and they came. If you’ve ever had a dog – you know what this is like. When I call my dog’s name – it doesn’t matter where she is in the house – she hears me and she comes to me but she doesn’t do this for strangers. Her response indicates – she is my dog. And our response to Jesus’ voice – indicates that we are his child. Sheep are harmless animals that are easily spooked. It’s humbling to consider that we are like sheep. They are not fierce or tough or overly intelligent. They are actually rather calm animals (think about how we count sheep when we are trying to fall asleep). They travel in herds because they are social animals and they tend to follow each other. They are stronger together and if one wanders off alone, they are easy prey to wolves and thieves. It is only inside the safety and security of the shepherd’s pasture that a sheep can be healthy and free. Sometimes we can be tempted to wander away from the Lord or from his people. We hear the voice of the world, the voice of the culture and the voice of other shepherds and then we find ourselves lost and in danger. Oh what a Good Shepherd he is! He wants to give us an abundant life! We must trust and obey and follow his voice so he can give us the abundant life he has planned for us. A good shepherd was willing to put himself between any animal that wanted to attack his sheep. A hired hand would not be willing to lay his life down for his sheep but a good shepherd would. Jesus has laid his life down for his sheep. He IS our Good Shepherd. Are you listening to your Shepherd’s voice? Can you hear him over all the other voices of family and friends and books and blogs and television and podcasts and iTunes and politicians and facebook debates and instagram feeds and youtube videos and even the thoughts in your own head? We live in such a busy culture, with to-do lists a mile long, that the voice of our Shepherd is drowned out. Oh friends! We MUST be listening to our Good Shepherd first! Are you listening for the Shepherd’s voice? Perhaps you feel like you can’t hear his voice over the noise of the world. Or maybe it’s not the world that is the problem…maybe you have unconfessed sin in your life or you are ignoring God’s voice because you do not like what what he is telling you to do or where he is telling you to go. I am the good shepherd. I know my own and my own know me, 15 just as the Father knows me and I know the Father; and I lay down my life for the sheep… and they will listen to my voice. Baby sheep may not recognize the shepherds voice so they follow the herd. Sheep travel in a herd instinctively for survival reasons and as they grow, the little lambs begin to know the voice of the shepherd too. This is what discipleship does for a new believer. We must learn to read the Bible for ourselves and know our shepherd’s voice. If we can’t hear the shepherd’s voice – the problem is not with the shepherd – it’s with us. God is ALREADY speaking, all we have to do is start listening. God speaks to us primarily through his word. His Word is the light. Read his word and do what it says. Ask God in prayer to guide you and then wait on the Lord and watch and listen for his direction. Sometimes when it seems that he is not speaking, we need to take a step out in faith. Take one step in the direction that you feel he may be leading you…and then wait on God to give you further direction. At times, I have done this only to find that I was way off and was getting ahead of God. Other times, I have taken a step out in faith and have found I was right in the center of God’s will for me. Ultimately, what God wants from us is for us to yield to his lead. Yield to the Shepherd’s voice. Sometimes he guides us through open and closed doors. Sometimes he guides us through godly counselors and godly friends. Sometimes he guides us during times of worship in our thoughts through the Holy Spirit. Are you worshipping God and spending intimate time alone with him, where you can humbly listen and learn from him? 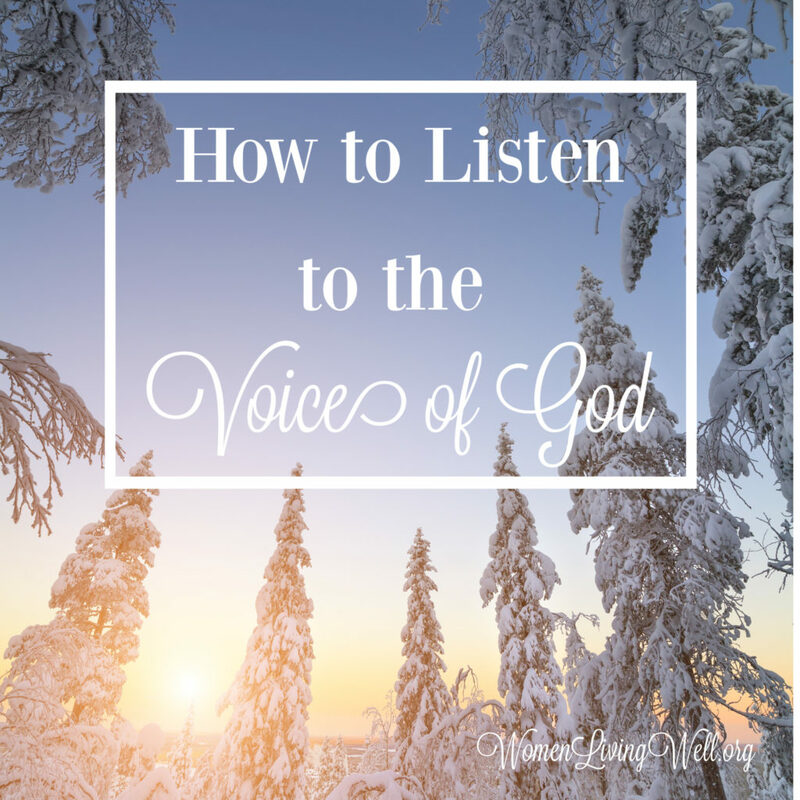 Are you listening to the shepherd’s voice about your sins? Are you listening to the shepherd’s commands to love others and serve him? Are you listening to his commands to share the gospel? Are you spiritually tuned in and walking in his will? God will impress things upon your heart when you are listening. When we cannot hear his voice – the problem is within us not God. Stay with the flock where you are safe and protected and follow the sheep who follow the Good Shepherd. Never follow a sheep that contradicts God’s Word. Don’t stray from Jesus. Stay in the Good Shepherd’s pasture where you are safe and secure. Very well said & such a timely word for me! Your ministry is a blessing to me. You have wonderful insight to God’s word and how to apply it in our daily lives! God bless you as you continue to share His word! Thank you for this post sometimes I feel affliction and feelings of loneliness bombard my heart but it’s so so true that I need to spend more time in His word I’m order to combat the thoughts of the enemy and surround my self with his sheep! #I belong to Him ! Thank you for sharing this, it’s just what I needed for this chapter. Reading some of the verses in a different version helped bring Understanding to them. Love this, what a great reminder. Thank you, Courtney! I love the book of John. You are an encouragement xxoo. This was a great post, Courtney. An insightful reminder to not allow the voice of God to be drowned out by the many distractions of life. Stay blessed!